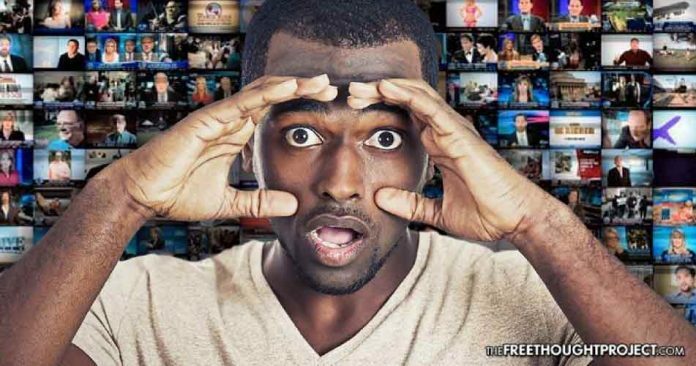 “Fake News” has become the buzzword that the dying mainstream media has been using to dismiss alternative viewpoints that may appear on the internet or in alternative media. While it is true that there are a large number of satire sites and clear disinformation sites on the web, mainstream media sources are focusing on alternative media websites who do not share their views politically and attempting to associate these sites with the “fake news” phenomenon. Luckily, however, it seems that the public is not buying this recent propaganda campaign. A poll conducted by the Harvard-Harris group found that 65 percent of voters believe that the mainstream media is guilty of distributing false reports. Harvard-Harris co-director Mark Penn believes that the extreme polarization on cable news channels is playing a major role in this negative perception that has been developing. “Much of the media is now just another part of the partisan divide in the country with Republicans not trusting the ‘mainstream’ media and Democrats seeing them as reflecting their beliefs. Every major institution from the presidency to the courts is now seen as operating in a partisan fashion in one direction or the other,” Penn told The Hill. The poll reportedly surveyed 2,006 registered voters from May 17 to May 20. Do you want the parties to work together and try to reach compromise or stick to their positions and fight it out until the next election? 89 Percent said they want to see this divide come together. Trust in the mainstream media has been slowly declining after several decades of monopolization and centralization. Over the last century, many large companies have been attempting to consolidate the media and have total control over what is said in the public arena. These companies are almost always heavily involved in politics and international business affairs, many times even depending on the government to regulate their competition. The good news is, people aren’t buying it. Despite the massive push by the media to assert some sort of connection between Russia and Trump — without providing a single shred of concrete evidence — the majority of Americans still don’t buy it. Here are some things that have been said by the media or one of the political parties. For each of the following, do you agree or disagree with it? Donald Trump is a puppet of Vladimir Putin. 66 Percent don’t buy it. While Donald Trump is most likely someone’s puppet, Putin is most assuredly not the master. Through controlling the dialogue in the media they are able to portray their political allies in a positive light, even if this is accomplished by telling blatant lies. It is even a generally accepted fact that all of the corporate news outlets have their own political agendas. What is not realized is that even though they may have different party affiliations, the major media sources are all on the same team and advertise the same general worldview. This bias was clearly visible after Trump bombed Syria in April. As the Free Thought Project pointed out, the day following Trump’s illegal act of war against a sovereign nation was nothing but praise for him in the mainstream media — including outlets like WaPo and the NY Times, who constantly attacked him prior to the strike. In the early 1980s, there were over 50 corporations which controlled all of the news media in America. This is a small number considering that it accounted for television, movies, magazines, books and music all combined. Before the First World War, there were actually hundreds of corporations that made up the US media. This corporate monopolization is largely due to government regulation that prevents independent journalists from reaching the masses. This is done by limiting the number of broadcast spots available, issuing permits and licenses for the ability to broadcast and, now, censoring alternative media. In 1983 a man by the name of Ben Bagdikian published a book called “The Media Monopoly” which pointed out the consolidation going on in the media at the time. In his book, Bagdikian predicted that the meager number of 50 corporations would dwindle very quickly to less than a dozen companies in coming decades. His predictions were met with a great deal of criticism in the mainstream circuit, and that was to be expected considering they were the target of his accusations. Sure enough though, over the next 25 years, the media would be consolidated into fewer and fewer hands. In 2012 it was reported by Forbes that just 6 companies owned the entire mainstream media, then they reported in 2016 that all media was owned by just 15 billionaires amongst those companies. This consolidation has caused an obvious change in the content, and even if the general public doesn’t understand why it is happening, they do understand that the mainstream media cannot be trusted.